Orig. pub. June 11, 2003. On June 7 [2003, the National Post, a Canadian daily, published a rather amusing article by Jeet Heer, titled "Trotsky's ghost wandering the White House." The aim of the author was to illuminate two issues occasionally argued in political media: first, the scurrilous claim by a group of neofascists that the neoconservatives are all ex-Trotskyists, and second, the very real evolution of certain ex-Trotskyists toward an interventionist position on the Iraq war. In the U.S., these are fringe topics discussed only in the most rarefied circles. In Canada, however, a labor and socialist party remains a major political force (the New Democrats), and politics in general has a more European (especially, and predictably, British) flavor. In the latter milieu, Trotskyism retains a relevance it has not had in the U.S. since the 1930s. For example, I have written on the peculiar fact that French ex-prime minister Lionel Jospin is an ex-Trotskyist who was apparently infiltrated into his position (see my "Trotsky is Dead, Jospin's Opportunism Lives On," in The Wall Street Journal Europe, June 14, 2001). Fear of Trotskyist infiltration (partisans of the movement call it "entrism") is something of a bugaboo in French politics, but, then, in France Trotskyist parties gain millions of votes in national elections. The U.S. neofascists who have thrown this accusation around use the term "Trotskyist" the same way they use the term "neoconservative:" as a euphemism for "Jew." And the fact is that many of the original generation of neoconservatives had a background of association with Trotskyism in its Shachtmanite iteration — that is, they belonged to or sympathized with a trend in radical leftism that followed the principle of opposition to the Soviet betrayal of the revolution to its logical end. 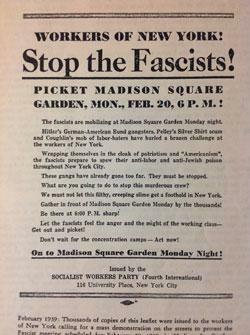 The Shachtmanites, in the 1960s, joined the AFL-CIO in its best Cold War period, and many became staunch Reaganites. This path had been pioneered much earlier by two Trotskyists: James Burnham, who became a founder of National Review, and Irving Kristol, who worked on Encounter magazine. Burnham was joined at NR by Suzanne LaFollette, who, piquantly enough, retained some copyrights to Trotskyist material until her death. But they were not the only people on the right who remained, in some degree, sentimental about their left-wing past. 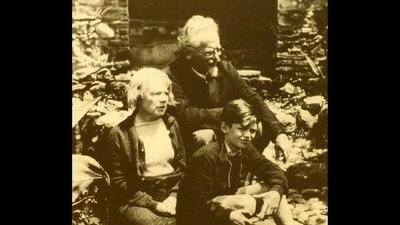 Willmoore Kendall, for example, was, as I recall, a lifelong contributor to relief for Spanish radical leftist refugees living in France. Above all, Burnham and Kristol, in a certain sense, did not renounce their pasts. They acknowledged that they had evolved quite dramatically away from their earlier enthusiasms. But they did not apologize, did not grovel, did not crawl and beg forgiveness for having, at one time, been stirred by the figure of Trotsky. That is, of course, insufficient for some people. 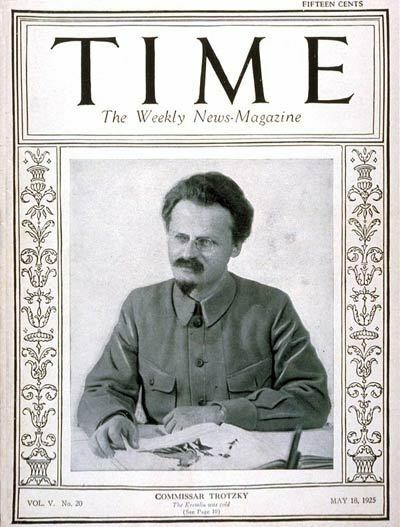 There remain those for whom any taint of leftism is a permanent stain, and who cannot abide an individual who, having in the past been a Trotskyist, does not now caper and grimace in self-loathing over the historical truth, which is that, yes, Trotsky commanded the Red Army, and yes, Trotsky wielded a sword, and yes, Trotsky, a man of moral consistency if nothing else, took responsibility for the crimes of the early Bolshevik regime. But of that, more anon. The second issue at hand involves the actual ex-Trotskyists who engaged with the issue of the Iraqi war. I call this group, to which I belong, the "three-and-a-half international," which is an obscure reference I won't explain fully. But I use it to indicate three main individuals: Christopher Hitchens, myself, and the Iraqi intellectual Kanan Makiya, who all did indeed march under the Red Flag at some point, and probably even sang the hallowed revolutionary anthem of the same name (to the tune of "O Tannenbaum"!) 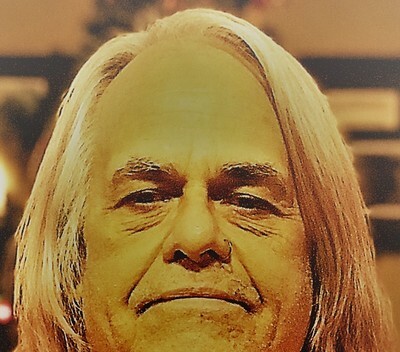 The half-personage is Paul Berman, an inveterate climber onto bandwagons, whose claim to involvement with the Trotskyist movement is thin at best. One thing must be observed here: We are almost alone among younger neoconservatives in boasting such credentials. I recently received a hilarious e-mail from a Trotskyist who asked me if it were true Paul D. Wolfowitz and Richard Perle had been Shachtmanites. That is absurd. By the time they emerged, the Shachtmanites were all quite long in the tooth. Nor did Bill Kristol ever follow in his father's path. Indeed, most of the original Shachtmanites who became neoconservatives have retired from the scene. Jeet Heer's National Post article largely reviewed the history of Trotskyism itself. It pointed out Trotsky's intellectual brilliance, and the fascinating success of the Trotskyists in attracting great minds of the 1930s, ranging from Saul Bellow to André Breton. It then made a fairly tame observation: that "some of the books about the Middle East crisis that are causing the greatest stir were written by thinkers deeply shaped by the tradition of the Fourth International." Among such books Heer cited my own Two Faces of Islam, which deals with Saudi Arabia. More importantly, he noted the significant role of Makiya in advising the Bush administration during the period leading to the intervention in Iraq. Heer did not, however, contribute to the neofascist paranoia theories. That Makiya was a major player in debates over Iraq is something nobody can deny; for years he was alone in his articulate opposition to Saddam. That his Trotskyist past had nothing whatever to do with his role in advising the Bush administration is something nobody sane could deny. Indeed, his personal history was mainly known only to Hitchens, myself, and a handful of others until Heer's article appeared. I plead guilty; I did, indeed, emit a barely serious remark or two in speaking with Wolfowitz. Heer wrote, "the yoking together of Paul Wolfowitz and Leon Trotsky sounds odd," but oddness is an essential feature of humor, which is what banter is usually based on. And that was about it for Heer's reportage. Heer also wrote that Hitchens, a close comrade of Makiya, had provided input to the White House on Iraq; Heer threw in a gaggle of further historical references, and included some quotes from me, Berman, and a leftist named Christopher Phelps on whether Trotsky, Shachtman, and the Bush administration can be said to have anything in common. All in all, an unremarkable article. 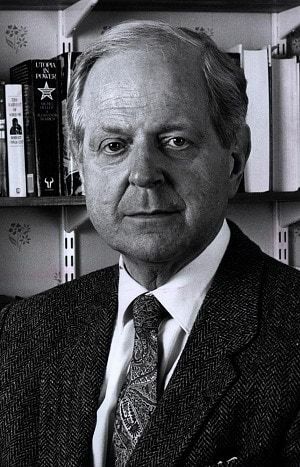 But not to Arnold Beichman, who replied with a bilious blast on NRO Monday. Beichman's tirade was titled "Printing Nonsense," which could have been a description of its contents. Beichman seemed intent on recapitulating his own past by producing a Stalinist anathema of the kind that, frankly, would have been considered crude even for the Communist Daily Worker in 1933. Beichman saw sins, infractions, and motives where none existed. For him, the copyediting transformation by the National Post of Hitchens from White House "confidant" to "ad hoc consultant" was a violation of journalistic ethics equivalent to those committed by Jayson Blair. Beichman seemed to have forgotten his long-ago experiences in a daily newspaper newsroom, and the ease with which such matters become distorted. This is, unfortunately, the essence of the Stalinist method: to find tiny lapses where they do not exist, and to formulate arguments on the basis of what one wishes was said, rather than what was said. But Beichman does not rest. He claims that Heer found "supposed members of Trotsky's Fourth International... who today populate the Bush administration right into the Pentagon and the Oval Office." Well, I'm not populating either place, and Hitchens gave one talk at the White House. Makiya I can't account for, but I have yet to hear that his advice on Iraq was considered unsound in either venue. 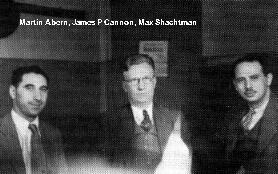 Beichman reaches the climax of his tantrum in a denunciation of Trotsky himself, as the man who "mercilessly wiped out rebellious anti-Bolshevik soldiers and sailors at Kronstadt," and who delivered himself of a degrading declaration of party loyalty to a Bolshevik congress. It is certainly true that Trotsky's role at Kronstadt was abominable. It is also true that very few people today know or care about Kronstadt, which may or may not be bad. But a great deal more people know about the Moscow purge trials of the 1930s. In that instance, Trotsky fearlessly denounced and exposed the totalitarian lies being purveyed by the Soviets and echoed by the leftist intellectuals around the world. Which, in the end, is more important today? When Beichman was young (something that may not have ever actually occurred), Kronstadt was important because it showed that the "workers' state" brutally repressed the workers. But the Moscow trials remain with us because they demonstrate that left-liberal intellectuals cannot be trusted about totalitarian regimes. Do we need a Kronstadt to condemn Saddam? No. Does an understanding of the Moscow trials help us comprehend, say, Peter Arnett? Absolutely. 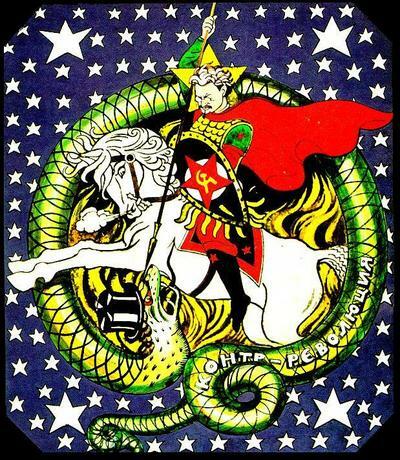 Let us not forget, in this context, that Trotsky immortally referred to The Nation magazine and its "reptile breed." Is this not more significant, today, than his comments at a Bolshevik congress? The Bolsheviks are no more, but The Nation continues to afflict us. Stalinists loved to describe Trotskyists as "sinister," and here Beichman does not disappoint. The real intent of Jeet Heer, according to him, was "something... sinister...: to rob the Coalition, which destroyed a terrorist haven and an inhuman dictatorship, of the moral victory it represents." This, presumably, was to be effected by associating Donald Rumsfeld with Trotsky at Kronstadt. Well, I consider Beichman's intent more sinister: to exclude Hitchens and myself from consideration as reliable allies in the struggle against Islamist extremism, because we have yet to apologize for something I, for one, will never consider worthy of apology. There is clearly a group of heresy-hunters among the original neoconservatives who resent having to give way to certain newer faces, with our own history and culture. These older neoconservatives cannot take yes for an answer, and they especially loathe Hitchens. But nobody ever asked Norman Podhoretz to apologize for having once written poetry praising the Soviet army. Nobody ever asked the art critic Meyer Schapiro, who was also a Trotskyist, to flog himself for assisting illegal foreign revolutionaries at a time when it was considered unpatriotic, to say the least. Nobody ever asked Shachtman or Burnham, or, for that matter, Sidney Hook, or Edmund Wilson, or a hundred others, to grovel and beg mercy for inciting war on capitalism in the depths of the Great Depression. And nobody ever asked George Orwell to renounce the fact that he put his life on the line, and may in the end have sacrificed his life, for the ideal of proletarian socialism, for the extremist anarchists of Barcelona, for the despised and persecuted Catalan Marxists of the POUM, and, yes, for the Red Flag and everything it once stood for. One might also add that nobody ever asked Jay Lovestone and Bertram Wolfe, ex-Communists whose company Beichman doubtless would prefer, to apologize for having defended the Soviet purge trials and the Stalinist state, long after so many of the brave band that carried a banner with the strange device of the Fourth International were murdered for their defiance of Stalinism. And I have yet to read an apology by Beichman for his own involvement with the Communist network. To my last breath I will defend the Trotsky who alone, and pursued from country to country, and finally laid low in his own blood in a hideously hot little house in Mexico City, said no to Soviet coddling of Hitlerism, to the Moscow purges, and to the betrayal of the Spanish Republic, and who had the capacity to admit he had been wrong about the imposition of a single-party state, as well as about the fate of the Jewish people. To my last breath, and without apology. Let the neofascists, and Stalinists in their second childhood, make of it what they will.